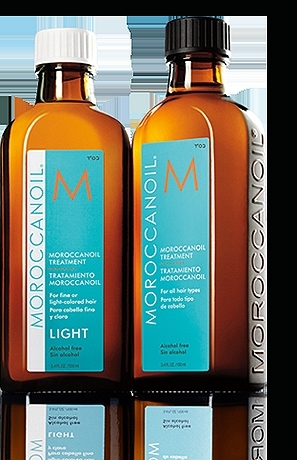 Moroccan oil at CORAY and CO.
Moroccan oil has developed a unique hair cosmetic, ultra light, non-greasy formula with Argan oil, that helps create a silky shine, for all hair types. Moroccan oil Treatment has the ability to restore condition to over processed hair, caused by colour procedures, perms and environmental factors. Massage a few drops of Moroccan oil Treatment into the hair just after shampooing and conditioning for an enhanced result. Hair looks shinier and healthier after just one application. With multiple applications, hair condition continues to improve, helping to alleviate split ends and brittle breakage. Instantly absorbed into the hair, this trademarked product helps to eliminate frizz, detangles and provides long term conditioning to all hair types.